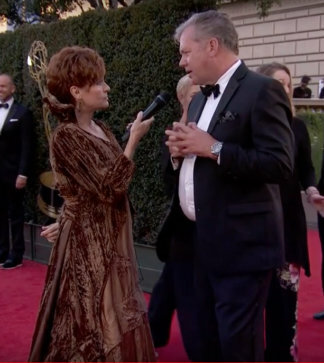 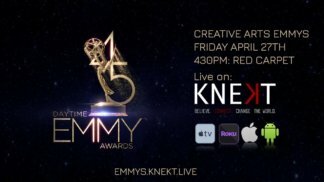 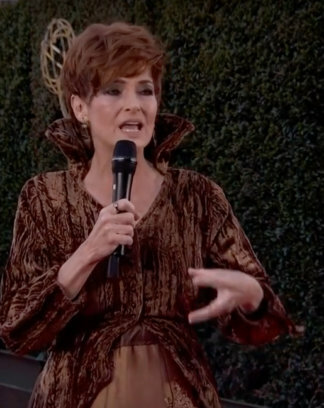 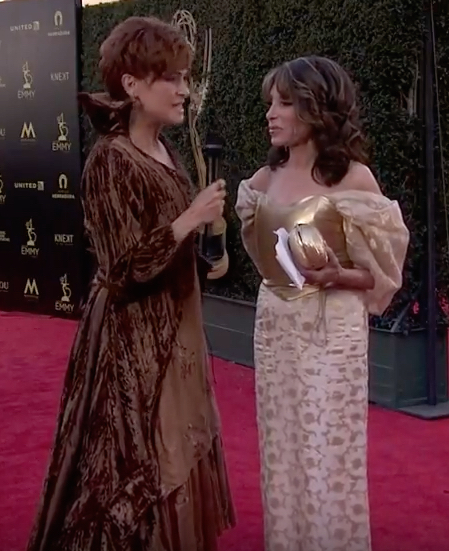 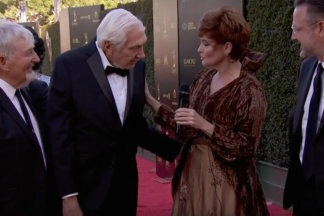 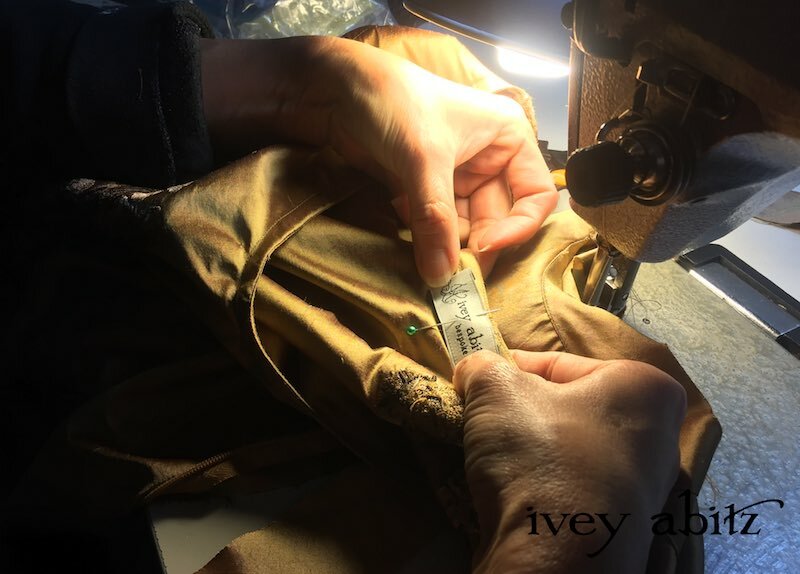 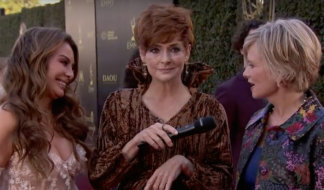 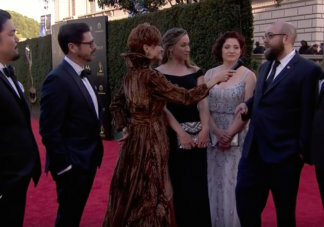 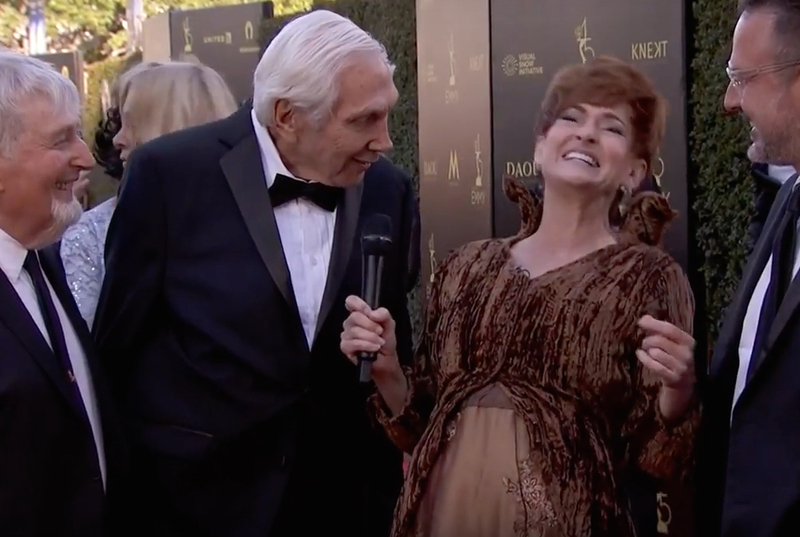 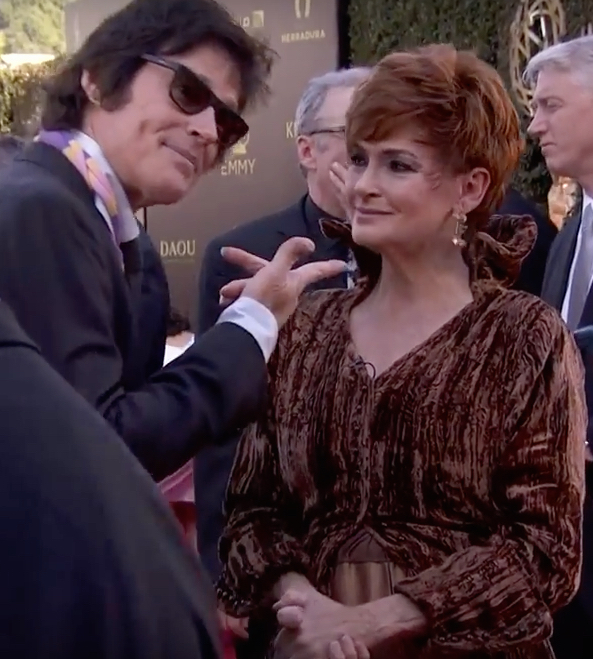 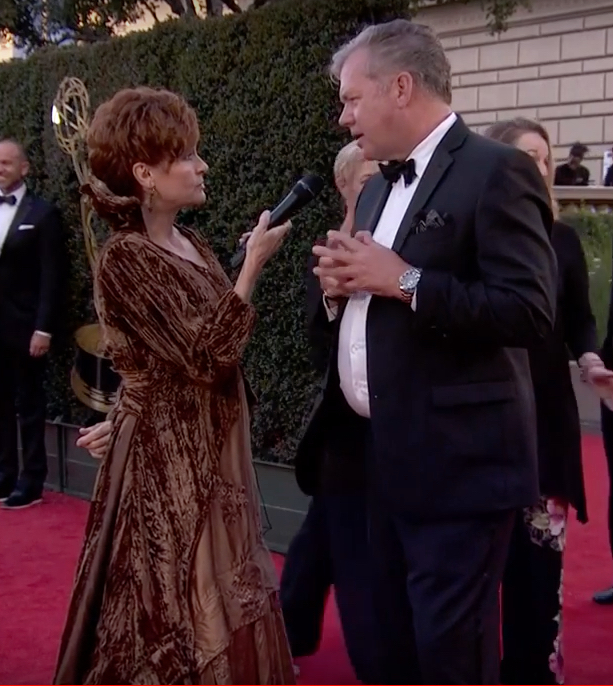 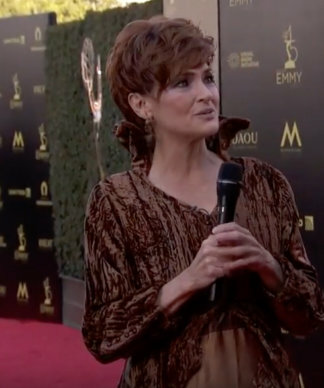 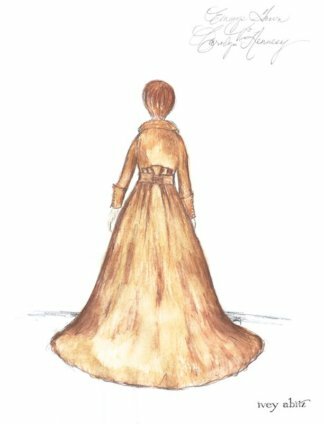 Carolyn Hennesy hosted the 45th Annual Daytime Creative Arts Emmys Red Carpet Show wearing her one-of-a-kind couture gown created just for her by Ivey Abitz. 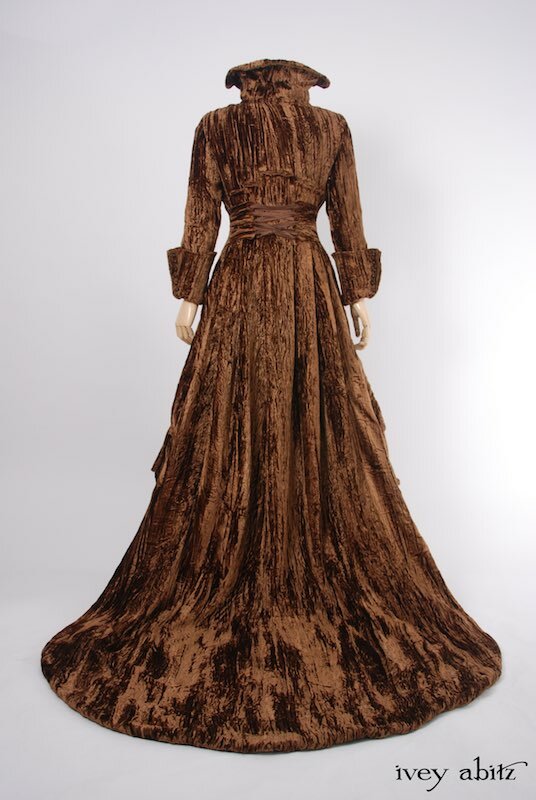 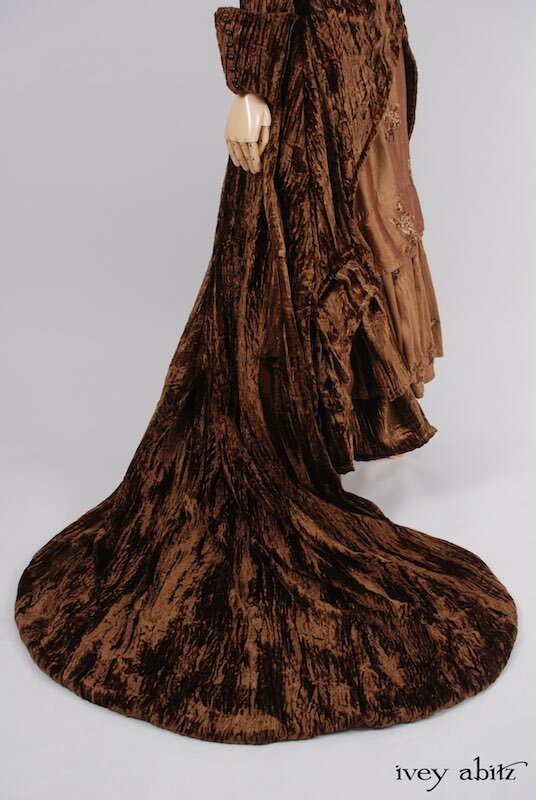 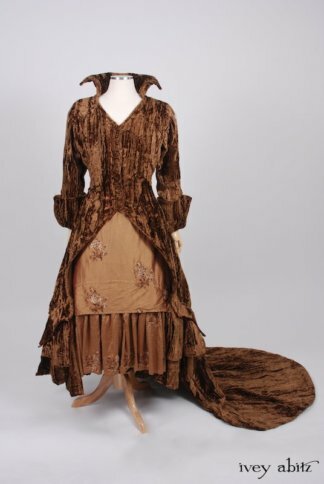 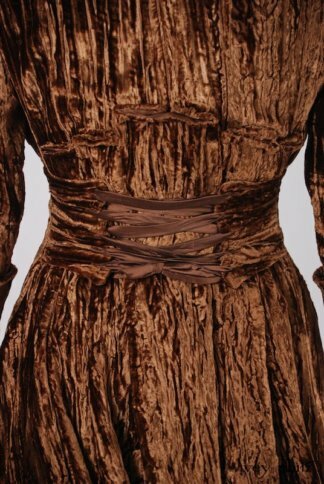 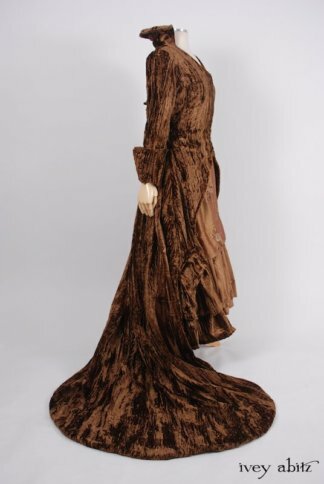 Embroidered 100% silk sleeveless gown adorned with antique embossed dog buttons, Parisian, circa early 1900’s (four to represent each of Carolyn's dogs). 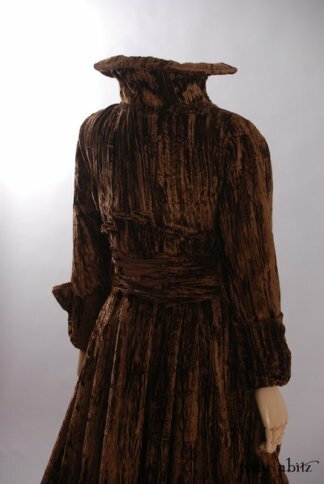 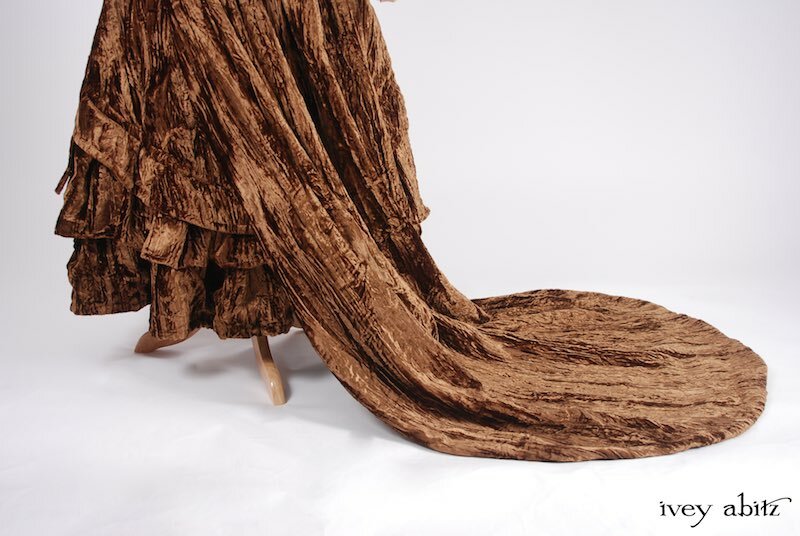 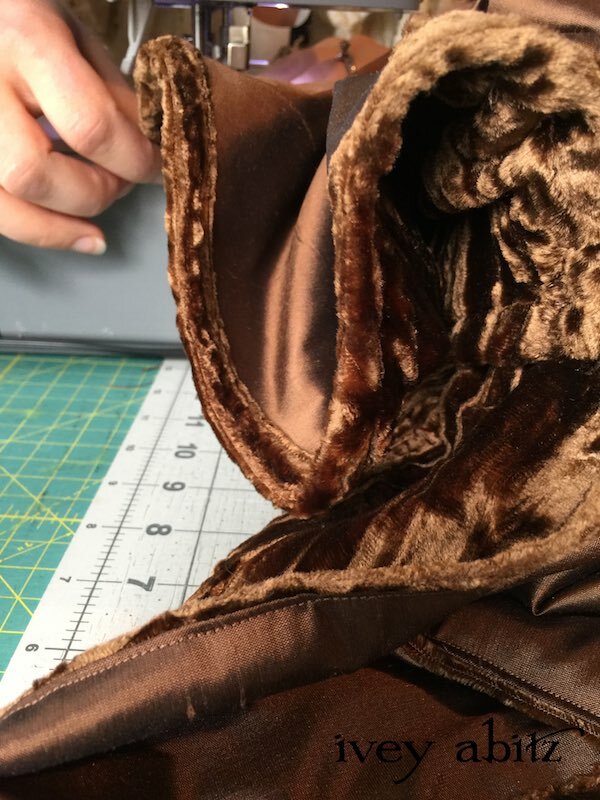 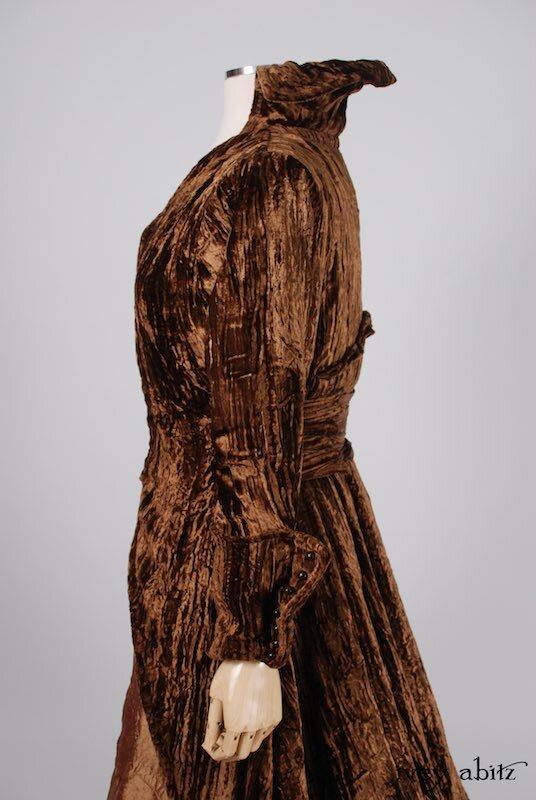 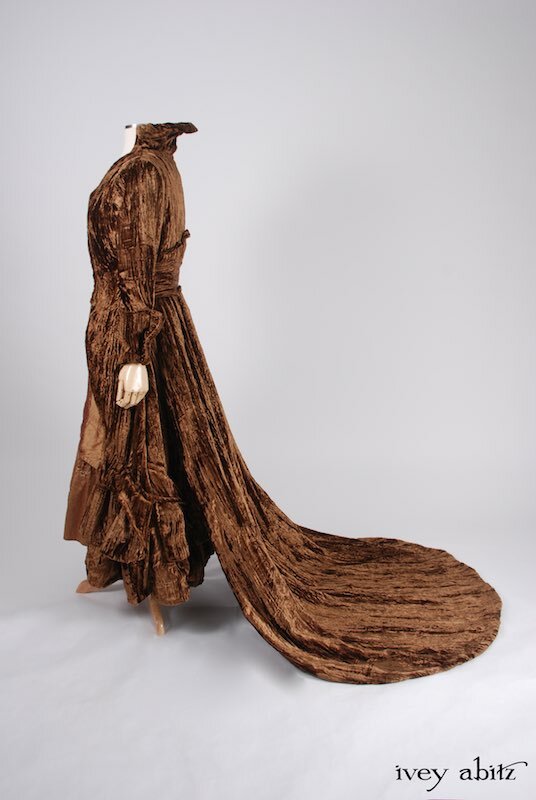 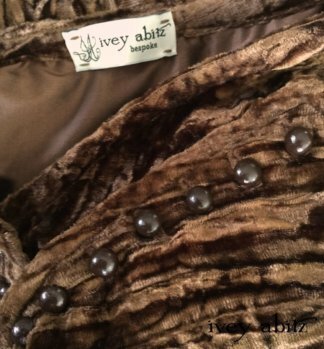 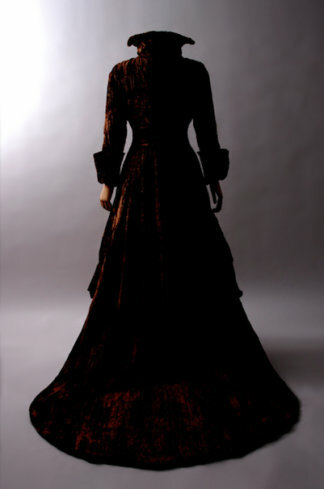 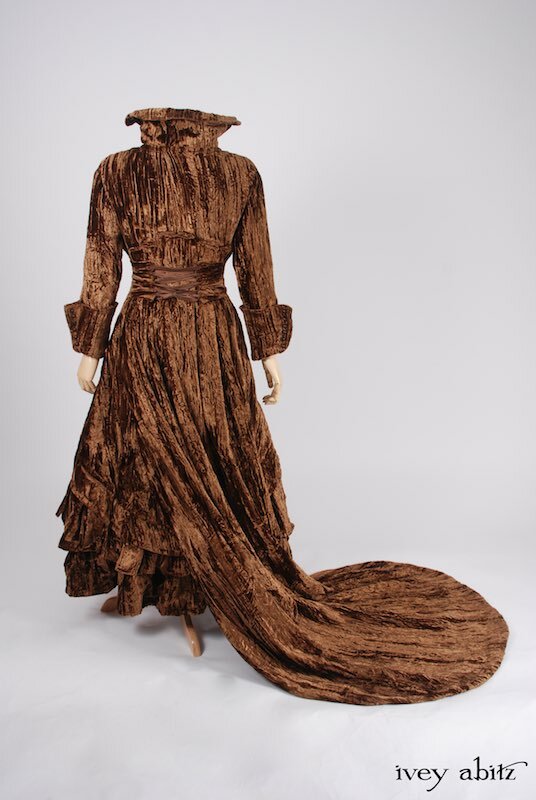 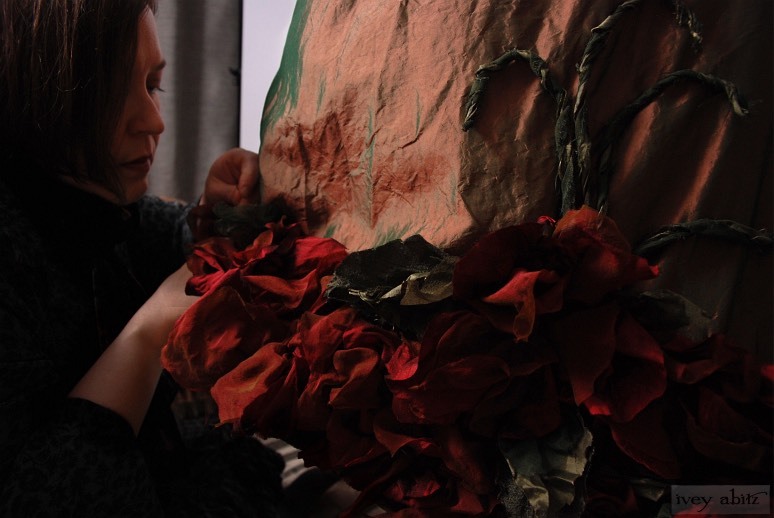 Crinkled silk velvet duster coat, fully lined in a cooling 100% bronze silk. 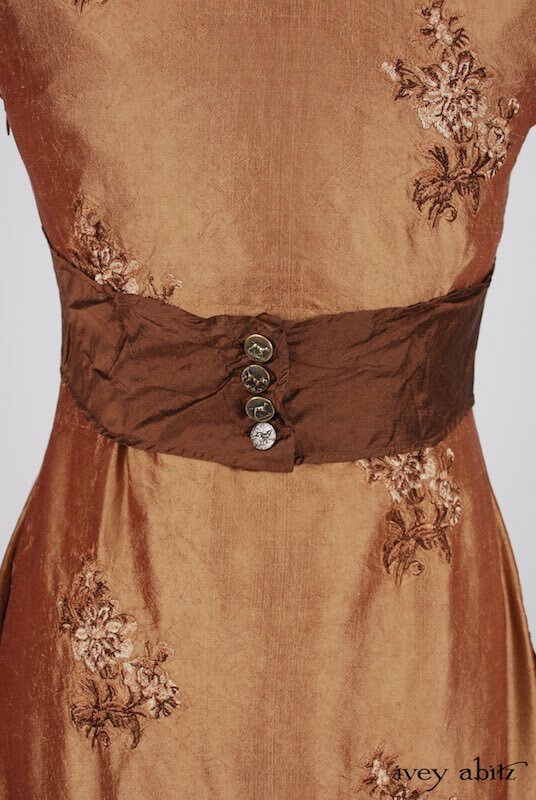 Adorned with antique painted buttons, circa early 1900’s. 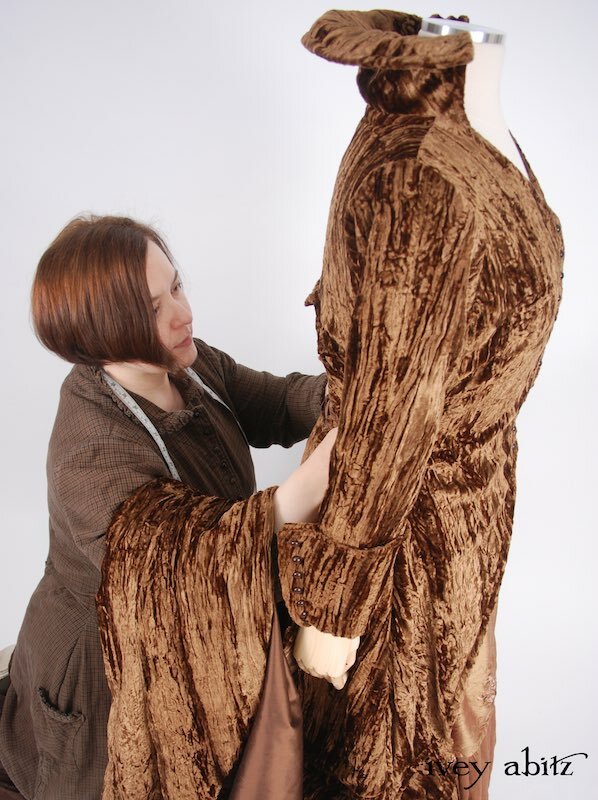 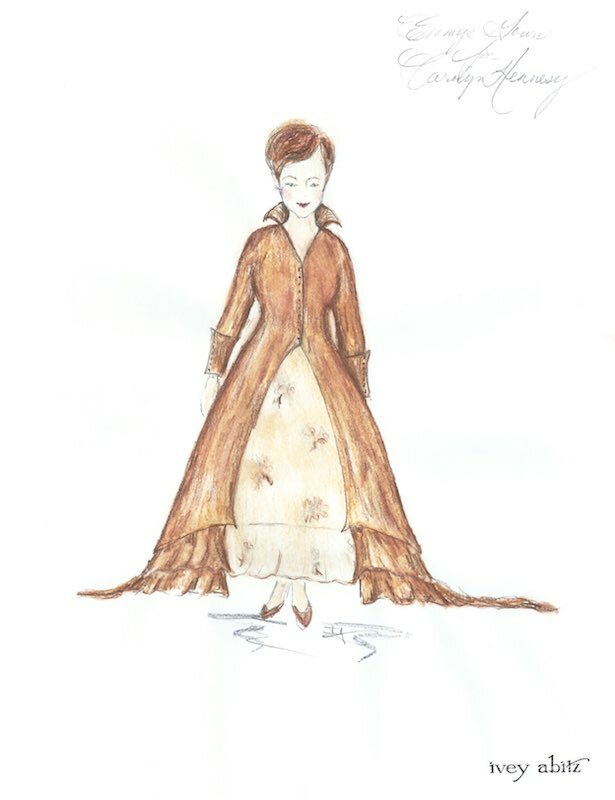 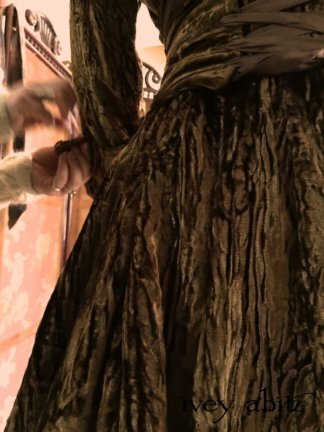 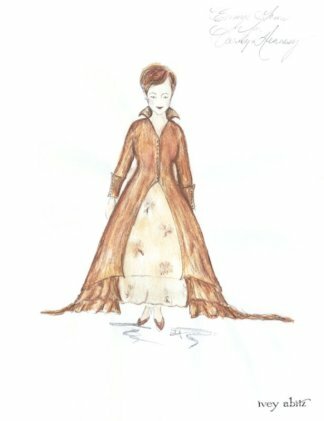 This ensemble had three tailors sewing. It took two weeks to finish.